NASA hopes to begin launching U.S. and partner astronauts to the space station aboard Boeing and SpaceX ferry craft in the 2017 timeframe, but agency managers expect to continue sending crew members up aboard Russian Soyuz spacecraft -- and Russian cosmonauts aloft aboard U.S. vehicles -- as a hedge against problems, like crew illness, that could force some station crew members to make an emergency return to Earth. Without mixed crews, an illness could force everyone who came up with the sick crew member to depart aboard the vehicle that brought them to the station. If it was a U.S. or partner crew member, everyone who launched with that astronaut aboard a Boeing or SpaceX ferry craft would have to return to Earth, leaving the station in the hands of Russian cosmonauts who launched aboard a Soyuz spacecraft and who are not trained to operate NASA systems. As a result, NASA managers believe it makes long-range sense to launch one U.S. or partner astronaut aboard every Soyuz and one cosmonaut aboard every NASA commercial ferry ship. Nothing has been finalized, officials say, but the U.S. space agency does not expect either side to pay for seats on each other's spacecraft after Boeing and SpaceX begin operational flights. 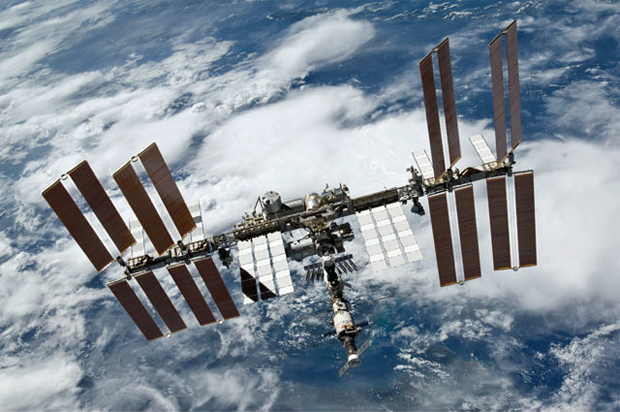 "I wouldn't call it a barter for seats, it would be more of an operational understanding," Mike Suffredini, the space station program manager at the Johnson Space Center in Houston, told CBS News in an email early Tuesday. "We would not be buying seats from each other." He said the concept of one Russian cosmonaut flying on every U.S. crew rotation flight and one U.S. crew member flying on each Russian flight "is in response to a technical challenge associated with one crew rescue vehicle departing when the other may be allowed to stay." "An example would be if a crew member became incapacitated on orbit," Suffredini said. "In this scenario, the entire crew that flew up with the incapacitated crew member has to go home with that crew member to care for the (ill astronaut), fly the vehicle and because if someone stayed on ISS they would be without a rescue vehicle. "If we do not mix the crew members across vehicles then when a rescue vehicle left, either the Russian segment or the U.S. segment would be without any crew that are experts on those systems. In other words, if the incapacitated crew member was a USOS (U.S. Orbital Segment) crew member and we did not mix crews, then the entire USOS crew would be leaving the station." That would leave the laboratory in the hands of Russian crew members "who are not trained to operate and maintain the USOS," Suffredini said. "So mixing crew members eliminates this threat." USOS astronauts include NASA personnel and representatives of the European Space Agency, the Japanese and Canadian space agencies. NASA has been paying the Russian federal space agency Roscosmos for Soyuz seats since before the space shuttle's retirement in 2011. NASA expects to spend some $5 billion underwriting the development of commercial spacecraft from Boeing and SpaceX to end the agency's reliance on the Soyuz, to restore U.S. access to low-Earth orbit and to save money. Under the most recent contract with with the Russians, NASA pays about $70 million a seat for rides on the Soyuz. During a news briefing Monday at the Johnson Space Center, Kathy Lueders, manager of NASA's commercial crew program, said she expects the cost per seat aboard U.S. spacecraft to average around $58 million when SpaceX and Boeing are both operational. If all goes well, both SpaceX and Boeing will complete planned test flights in 2017, earning NASA certification and clearing the way for operational crew rotation flights to begin late that year or in early 2018. At the Monday news briefing, NASA Administrator Charles Bolden made it clear he does not want to buy seats from the Russians if he doesn't have to. "I don't ever want to have to write another check to Roscosmos after 2017, hopefully," he said. But NASA's current contract for Soyuz seats does not cover 2018 and Suffredini said in a Jan. 15 interview that seats aboard the Russian spacecraft must be reserved three years in advance. Given uncertainty in the commercial crew schedule, NASA may be forced to buy more seats despite Bolden's vow to stop writing checks. "Right now, our big challenge is with the uncertainty in the schedule, how do you make sure you're ready for whatever's going to happen?" Suffredini said. "And then in all that mix is making sure we have enough seats purchased from our Russian colleagues in time. So I have to tell them, which is reasonable, three years in advance whether I want seats." He said via email, "we have some time before we have to formally contract for seats. ... We will wait as long as we can before making a formal decision on any future Soyuz seats to get a better understanding of the schedule risk associated with the two commercial providers."